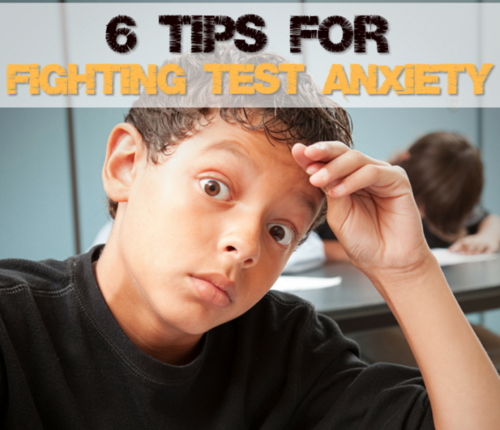 Our guest blogger today is Carol from Teachers Are Terrific. 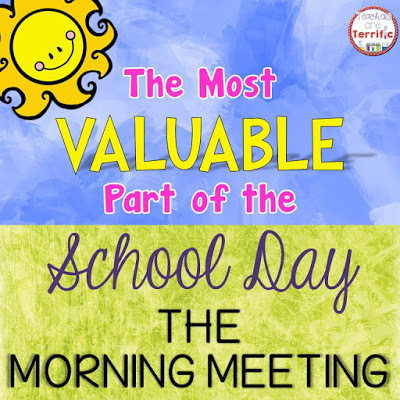 She’s sharing her thoughts on why the morning meeting is the most valuable part of the school day and her ideas on how to implement it in your classroom. If you are like me at all, you might be thinking about August already. Isn’t it fun to have new, fresh faces coming to us, to join together in a brand new school year?! 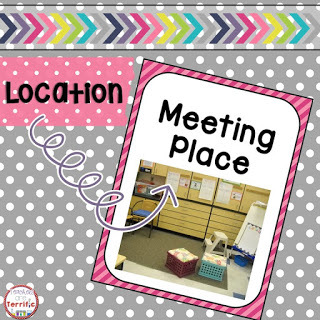 After many, many years of seeing those new groups coming, I can tell you that the one thing that brought us together quickly and proved over and over to be the heart of our classroom was one small thing: the morning meeting. When I taught a regular self-contained third grade classroom, we always had a morning meeting–even on the first day of school! Starting the day with this community time is what will get you and your students through your year together, and these few minutes every morning is the best time to convene, catch up with one another, and embrace one another. There are so many ways to do this! Some key things to remember will get you started with your own version of a morning meeting time. A space for your morning meeting is important and easy. 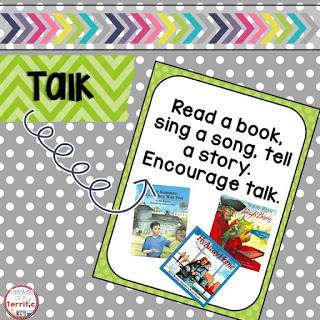 You probably already have a space where you gather to read aloud or have a mini-lesson. It is essential to have a designated space. When you gather your students together, it lends importance to the meeting. The space shows that the meeting has value. I had a friend that allowed her students to sit at their desks during morning meeting. The kids worked on their morning work, read, or drew while the meeting was held. To me this lessens the impact of the special time together. I always had my kids come to our carpet. I sat on a little low stool so that I was among the students. I also think that’s important. The whole attitude of the meeting is casual, and being almost on the floor with the kids made us feel like family. I always started the meeting by greeting everyone. Make eye contact. Notice a new haircut, a new pair of shoes, or a cute bow. Have the kids turn to a friend and say hello, high five, shake hands, whatever works for you. Then begin with your message time. I used my easel for our morning meeting routine. The message that I wrote on my easel started us off officially. I always wrote something short like a brainteaser, a sentence with writer’s craft in it, a sentence to make us think, or a quote to talk about. My favorite activity was a fun sentence to work on homophones. I would write a sentence like this one: “The refuse on the side of the road was a mess for my brother to refuse to clean up.” I would ask for volunteers to try to read the sentence to us and pronounce the word “refuse” correctly as it is used. We had a great time with this, and later we would add some writing to our Writer’s Notebooks using homophones. See how cleverly I opened our meeting time with a super quick little lesson? After the greeting and opening message, I would move on to a sharing from myself. A magazine photo, a picture book, a cartoon, something I learned the day before–anything to share. My students especially loved to hear stories about my two children or my cats. This goes back to something I already said: It’s about community and letting students see a personal side of yourself. This was a big part of our morning meeting. Next, it’s talk time for the students. We called it Share Time. Share Time is crucial for your morning meeting! In my classroom four to five students would share each day. There were some rules about sharing. It was optional. It could be a story or something brought in for us to see. A reasonable amount of time was given to each student. From the very beginning, you must establish some audience guidelines, as well. 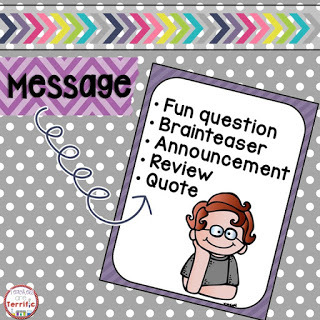 Attentiveness is required, comments or questions can be spoken. I rarely had to enforce these rules after we got going with our morning meetings. Lead by example! I always made eye contact with students that shared. I asked thoughtful questions and showed a genuine interest. I listened! 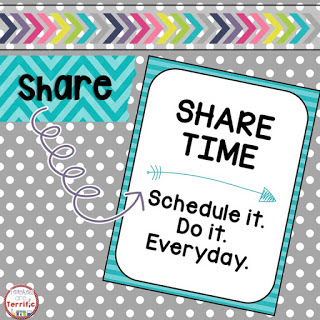 Of course, you will have students that want to share every day! To make the share time fair, we had assigned days. Each student knew what day was his or hers, and this way students could prepare ahead of time, if need be. But what if a student had an emergency to share? One day I had a student who was in a car accident on the way to school. Of course, he needed to share that! So, we added an emergency share rule. What kinds of things did we share? I had a student bring in duck calls her grandfather had made and proceeded to demonstrate how they worked. Yes, you could hear this all the way down the hall! Then I had a student tell us he had six toes on one foot. Yes, we asked to see! He removed his shoes and socks to prove it. One day I had a student tell us about the argument his parents had the night before and that his father left saying he was never going to come back. Share time, for me, is the most important part of the morning meeting. Here’s why I feel so strongly about this: Nothing brings a group together faster or most genuinely than crying together, hugging a friend whose dad said he was never coming back, or laughing because a duck call sounds like a bodily function noise. Want to bring your kids together? Let them talk. You learn about each other this way. You see life from another point of view. You find out you like each other. Kids begin to feel like your classroom is their safe place, their place to trust and love. That is why they will open up and talk, and for some of them, our classroom may be the only place they can do this. If you are not convinced yet, then I need to tell you one more story. My students knew that if they had an emergency story when it was not their share day, they could ask to be added to the share list. However, I asked them to tell me a little about their emergency first. This gave me a chance to decide if the story was a true emergency or not. One morning a boy came to me as all the students were arriving. He told me he had an emergency to share. He said, “Today while I am at school….” and then he began to tremble, and tears welled up in his eyes and streamed down his face. But he continued, “My dog is going to be put to sleep.” Then, he laid his head on my shoulder and wept. I added his name to the share list. Moments later he stood before his friends, still with red eyes, and I put my hand on his back, and he told them. We all cried, every one of us. The children touched and hugged him and let him know how sorry they were. They knew, you see, all about this dog, because the boy had shared stories with us all year. This dog and this boy were our family, and he needed to tell us. If you don’t have morning meetings, you really need to consider it. It’s a powerful community-building time. It was always my favorite part of the day. Thank you for letting me share this with you. I am Carol Da vis from Teachers are Terrific, and I have been teaching for a really long time–a little over 30 years. I taught third grade for 17 of those years. For the last two years, I have been the STEM teacher at my school, seeing all the students in grades three to five each week. I spend my days experimenting, designing, building, and solving problems. It’s truly amazing! There are many things I miss about the regular classroom since my switch to STEM. Reading books to students is tops on that list. The morning meeting and the community I shared with so many boys and girls is also on that list. I agree that morning meetings are such an important way to build classroom community. I can't imagine starting our mornings any other way! I'm happy to hear that others find them invaluable too! How long do you spend on morning meetings? I ask because I will be sharing two classes of 5th graders as their math and science teacher. This is a big change for me, coming from a village school in AK where I taught a 3, 4, 5, 6 combination class for the last 3 years in a village of < 200 people. (K-12 school of about 40 students) community was pretty well established after my first year there so this is totally new traitory for me. Where were you Annie Martin. I am in Valdez, Alaska and spent time on Prince of Wales Island. Hi Annie! Great question! The time varied from day to day but I would say 15 minutes was the average. If I read a picture book it might have taken longer- but normally that reading was part of a lesson anyway! Time well spent! I was also wondering how long you gave for each individual student to share? Can morning meetings be used with PK-2nd graders too? This is fantastic. My mother has been the director of a school for decades. She's also taught one-on-one for years. Her advices to me? "Don't share anything personal with your students. Just give them advice! Keep a strong authoritative boundary." I disagree. I'm with you. Why would kids want to listen to a person they hardly know? Forgetaboutit. Your thinking rocks. btw, I want to be in YOUR class. I love this post! Morning Meeting (aka as "Group Soup") has been part of my daily teaching since I started 24 years ago. We pass a "yarn ball" out to those who want to share…and listen, empathize, and support. It is my favorite time of the school day. Thank you so much for sharing!! I have an afternoon meeting, where students can share. But, I think I REALLY like the idea of doing this in the morning, instead! I mean, if someone has something important to share, why make them (or yourself) wait until the end of the day? I am so excited to do this when school starts back up in August! Thanks, again, for sharing! I have been teaching Kindergarten for 13 years and I absolutely do this every day! It's SO important! Thanks for sharing your story. What guidelines do u have for sharing? I'm afraid they would just start bringing in toys to share! How can I avoid that? Hi Lori! Great question about sharing! I always started the year off with bringing in samples of things I collect and then asked students to do the same. So, the first items we saw had meaning- even if it was Pokemon cards! After that I would bring in things to share and always made sure that I brought something that had a story behind it. By modeling this I think it gave the kids ideas to bring things that were more than just toys. Of course I had kids that just grabbed a toy to share! When this happened I would ask questions to try and get a story out of the kids, too, but it didn't always happen. The thing is I think it's important that the child had the opportunity to have his or her moment. Thanks for your interest and I hope you try a share time! Wow, sitting here with those crazy tears in my eyes, threatening to spill over! What an opportunity I've been missing by allowing my day to be too full for morning meetings. We were an "F" school last year, so our days this year were packed to the brim it seemed with academics and an extra 30 minutes added to our reading block. I know we made great strides in improving our test scores, but … I definitely will find time to squeeze this 15 minutes into our day come August! Thanx for a wonderful inspiration. This is an interesting article. I am a 7th grade language arts teacher and I find it especially important to get to know your students. I build a community of trust in my classroom by modeling this myself. After we discuss the agenda board and before we get started on our lesson for the day, I would share something simple that happened to me or my dachshunds or my children. I didn't do this everyday, only when I had something I thought was interesting to them. As the year progressed, the students started to share some interesting stuff about themselves and we built a little learning community. I love getting to know my students and it can be done in as little as 5 minutes out of your busy schedule! I never knew what I was doing could be considered a "morning meeting", for me it was just a way to relax and regroup before starting the lesson of the day! Although morning meeting had been a part of my day for many, many years, (My cooperating teacher had one when I did my student teaching. )after taking Responsive Classroom I one summer (a full week of training), I changed some of the things I did at my meeting. I no longer have sharing of "things", often referred to as "Bring & Brag" in the RC world. Some children just don't have the "things" others do and feel badly about that. Instead of sharing things, we share our lives! I call it a "quick-share" and the children AND I all get a chance to share something that is going on in our lives, every day. IF someone has something more "involved" going on,such as the death of a pet, I use my discretion to allow them the time they need. 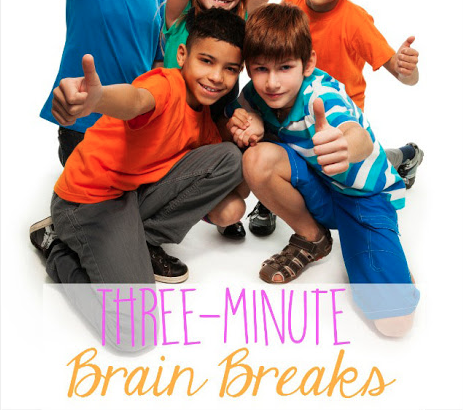 It works out great and the children LOVE the quick-share! A quick few sentences is all most children need and since they know they are going to share every day, they are usually ready and it goes very quickly around the circle (You MUST sit in a circle!). I suggest reading any of the Responsive Classroom books (available on Amazon). The Morning Meeting book (by Kriete & Davis) is wonderful as is The First Six Weeks of School (by the Center for Responsive Schools). I reread that one every summer! Just type in Responsive Classroom in the search and the RC books will come up. No, I don't work for them, just really believe in that method. 🙂 Every year, other teachers always ask me how I got such a "good" class. Believe me, no one is giving ME the best behaved students. I truly believe that using RC is what helps me bring out the best in my students, year in and year out! Good Luck! Thanks for this, Susan – the initial post and all the comments have been helpful to me, but your advice on Responsive Classrrom methods really interests me. As a resource teacher, I'd sometimes see morning meetings in gen ed rooms and kind of wonder what the point was… now I know! Thank you so much for sharing! If I ever teach self-contained, I will definitely incorporate this. You're very welcome. So glad I sparked an interest in Responsive Classroom in you. It's the BEST! 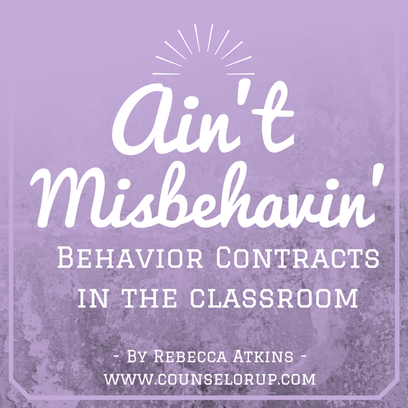 I've NEVER had a "behavior" program in my classroom in the 22 years of teaching–never needed one and with the big push-back I'm noticing about visible behavior charts in classrooms (about time), it's time to change things up. Public shaming–and basically that's what these visible charts do–is NOT the way to go. Imagine one for teachers in the hallway of the school and if the administrators feel you've done something "wrong", your clip (or however these things work) goes to yellow or warning and all of your peers see this. How would that make YOU feel? Enough said about behavior charts in classrooms! I agree with you. I retired this June but while I was teaching I used Morning Meetings with my students who were mostly Language Learners (NEPs and LEPs) and it helped them a lot in developing their verbal skills. I used in in all grade levels from K-4 and in the last 3 years with Transitional Kindergarten and the results are amazing. I teach second grade. I find it hard to believe that my students could greet each others, read and discuss a message no matter how brief, listen to me and then 5 or 6 other students share (with questions and discussion) in 15 minutes. I do a circle greeting, passing a handshake, smile, and "good morning" around. We learn greetings in different languages (probably slaughtering them) throughout the year, and they also learn how to shake hands properly. I do a quick number sense routine. We might sing a song. This takes at least 20 minutes from start to finish on a good day. I stopped doing sharing, mostly because it turned into all toys-all the time, but I am motivated to try it again. I'm sure this will bring our time up to half an hour, realistically. What a wonderful post! Teaching, for me, is partly teaching how to be human. In an age of electronics, it's so important to have that face-to-face bonding. 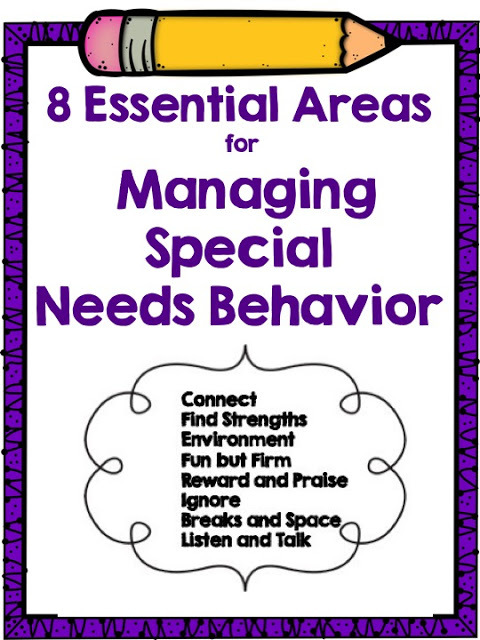 Another great way to bond is non-verbal. That's why I like to do free-dancing with my kids every day. We smile, laugh, and communicate via gestures. I wrote about it on this blog: Dancing in the Classroom.